Hello dear catwoman! So nice to receive your reaction. Love your new image! You know, it’s on May 4 all those little memories about Audrey come back to me. Her smile, her eyes and fragile figure, her manner of speech, still ring in my ears. Each time there is an Audrey movie on TCM I watch it to refresh that memory. May 4 is also a national day in Holland to remember the death of World War II. She lived through that with even more fear and anxiety than I. She was already 13, saw her stepbrothers Alex and Ian disappear caught by the Nazis and not see them back until after liberation, and lived through endless malnutrition and despair, seeing what awful things happened to neighbors and friends. I heard all these things much later from her mother. 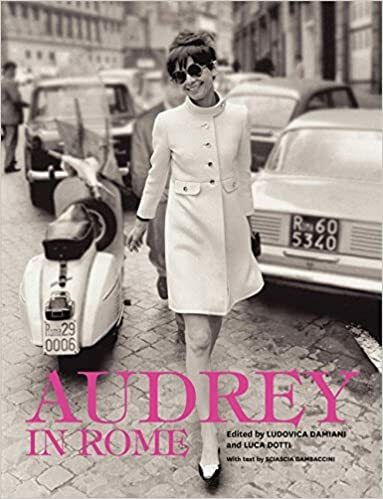 Today, May 5, at the remembrance of our liberation, the flag hangs out at our house, also in remembrance of Audrey’s life, which was full of glamour as of her twenties, for a large part due to her mother’s perseverance, but throughout with a lot of inner frictions and self-doubt. Sister Luke was an excellent role for her. For me, she will always remain that 13-year old that became a Princess.